Spencer Nineberg is a Licensed Independent Clinical Social Worker in Cambridge, MA with expertise in anxiety, depression, trauma, identity development, and relationship issues. She sees young adults, college students, adults, and seniors. Spencer Nineberg is a therapist in Cambridge, Massachusetts specializing in trauma, depression, anxiety, identity development, spirituality, and relationship issues. As of May 2017, she is the President of the New England Society for the Treatment of Trauma and Dissociation. Spencer is certified in Internal Family Systems and Eye Movement Desensitization and Reprocessing therapy (EMDR), a powerful therapy modality for recovery from trauma. 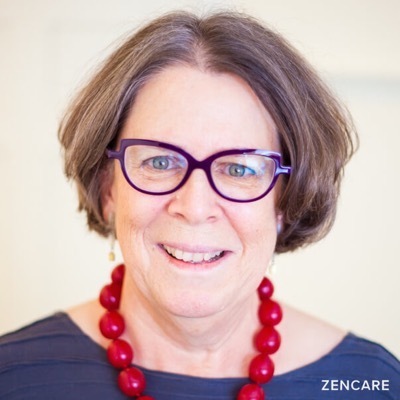 Since founding her own practice in 1984, Spencer has dedicated herself to keeping up with the advances in evidence-based psychotherapies, especially those in the realm of trauma recovery. She combines mindfulness practices, psychodynamic therapy, Accelerated Experiential Dynamic Psychotherapy (AEDP), IFS, and EMDR in her work with clients. Spencer enjoys the emotional and intellectual challenge of her work, and is constantly evolving her approach to fit her clients' needs. She received her MSW from Smith College and worked at Massachusetts General Hospital prior to starting private practice. Trauma – Including dealing with past sexual assault, childhood trauma, environmental trauma (e.g. witnessing/experiencing violence), PTSD (post traumatic stress disorder). Offers Eye Movement Desensitization Reprocessing (EMDR), a powerful therapy modality for recovery from trauma. Spencer is not in-network with any insurances. Therapist's note: Many PPO and POS insurance plans have "out of network benefits" that cover some of the cost. Please check with your insurance company. I can provide the paperwork necessary for reimbursement. "Using a warm, interactive and practical style, I have helped many people to find solutions and healing. I work to empower clients to find their own authentic voice and internal resources in a safe, nonjudgemental setting. Drawing upon over 25 years of experience and extensive training in a number of therapy models and upon a 30 year mindfulness practice, I work collaboratively with each person to meet their needs." I have come to deeply appreciate and respect Spencer’s clinical skill and have no doubt that she is, indeed, a responsible and qualified practitioner. I regularly recommend her and directly refer clients to her, always with great confidence that they will receive excellent care. Spencer reliably demonstrates a high level of professionalism, clinical sophistication, and commitment. She integrates multiple clinical models into her work and adheres to the highest moral and ethical standards. Spencer is an attuned, compassionate, and skillful therapist with advanced training in multiple models of psychotherapy. She has a deep commitment to helping patients to alleviate their suffering and, just as importantly, successfully access their best and most resilient selves. A lifelong learner, Spencer Nineberg is an insightful clinician who has pursued on-going training throughout her career. She draws her clinical formulations from an integration of many schools of thought and has a deep understanding of her clients. She is adept at developing an effective therapeutic relationship and moving the therapy forward toward established goals.